There are no photos with those IDs or post 11142 does not have any attached images! It will be held on 14 April Sunday of 2013 - 10: 00h in Ribadesella. The Montes del Sella bikemaraton is based on the national calendar as one of the references mountain bike touring, especially in the northern half of the peninsula where the vast majority of bikers willing to enjoy a journey as hard as beautiful. These two realities are responsible for increasing the number of participants year after year to the 700. Figure that the organization considers fair to be able to enjoy the surroundings and the bicycle without crowds. The route that in its first part runs parallel to Sella River but in the opposite direction to its mouth and far above it. It has a technical aspect quite marked, not in the first part, where the differences are generally favorable for the biker more rolling. It is in the second part where the climbs are accentuated along with the ability to not lose traction which makes the lovers of this specialty enjoy and advance on the less technical cyclists. As well the third part has a high technical level. Here the descent is the predominant one where the fast zones are combined with the slowest ones, forest path with wide track and some views of the Cantabrian coast that will accompany us to the very coast passing through the beach of Vega and later that of Santa Marina in Ribadesella itself, place of departure and arrival. 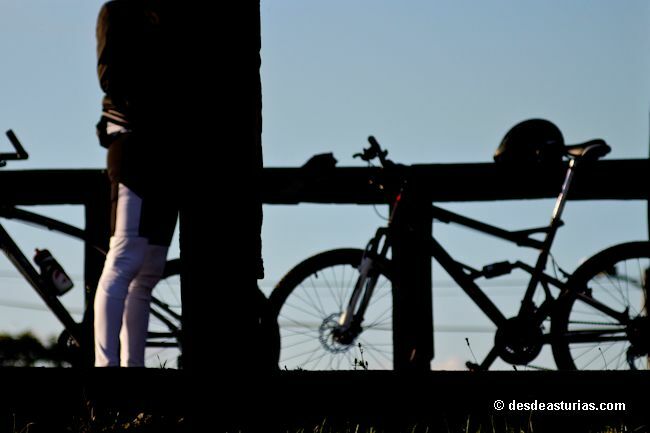 Being a mountain bike cyclist tour, it is necessary to be in possession of the federative license issued by the Royal Cycling Federation (The license of the mountain federation that includes the practice of cycling, is not valid). In order for every athlete to participate, a one-day license is available to guarantee coverage to the participant in the event of an accident. The registration limit is 700 participants. Registrations will remain open from January 14 until one week before the event or upon arrival at the registered 700. After that period if someone wants to register the price will be much higher than the established. The cost of registration is 22 € for federated cyclists and we must add 10 € more for athletes who apply for the 1 day license. All the participants receive several refreshments during the course and at the finish line. Junco with the bib number, a runner bag with details of the race and special discounts from Bike-Maraton Montes del Sella collaborators. All participants have the right to showers, dorsal, washing area, medical assistance, collection in case of breakdown or force majeure, electronic timing and to participate in the final draw. All cyclists who complete the course within the 7 hours set by the organization and do so in full, will receive a diploma with the position and time spent, via email. In this case, a special evaluation will be made with a GOLD diploma by the participants who complete the course in less than 04: 00: 00; SILVER diploma for the finalists between 04: 00: 00 and 05: 30: 00; and BRONCE diploma for cyclists who finish it in more than 05: 30: 00. At the end of the 17 test: 00 hours a raffle is held among all the registrants present with various materials valued at more than 2.000 €.